TVS one of the pioneer Greek private TV stations, has completely renewed their tv facilities. 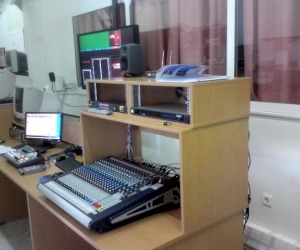 Extensive use of VSN automations (ingest, newsroom and transmission), SONY studio cameras and production switcher, MCS and router from EVERTZ and interfaces from CRYSTAL VISION. 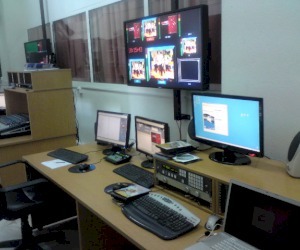 Editing suites are from APPLE and are directly connected to the news and continuity play out through the VSN sharer.